Experience : I am associated with Marathi Theatre since 1982 and till date I have performed in 27 different plays and variety of roles. In the journey of 34 years of performing arts, I have been honoured with many prestigious awards.Till date I have FOUR LIMCA RECORDS in my name. 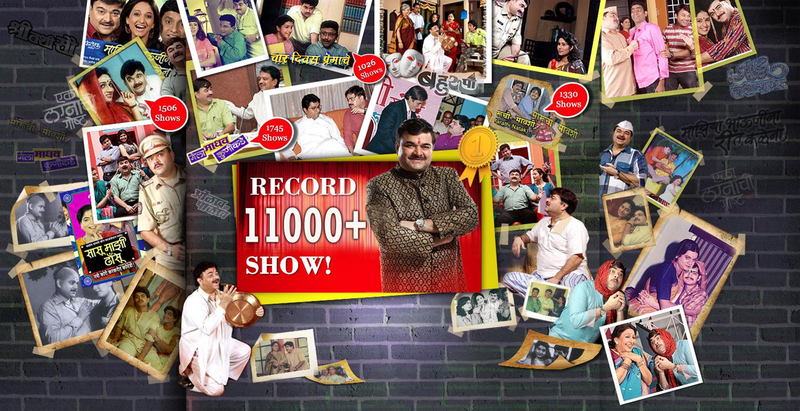 I have also performed in 40 Marathi Feature Films and 24 marathi serials. Currently, I am compering a cookery show called as “AMHI SARE KHAVVAYE” of Zee Marathi for the consequitive 6th year. RECORD BREAKER ACTOR - A special prize by Prabhat channel. A Special Award by National Defence Academy (NDA) for social work. On 24th Dec. 1995 - 4 shows of 3 different plays in one day.